As we already know from media reports and hedge fund investor letters, many hedge funds lost money in fourth quarter, blaming macroeconomic conditions and unpredictable events that hit several sectors, with technology among them. Nevertheless, most investors decided to stick to their bullish theses and their long-term focus allows us to profit from the recent declines. In particular, let’s take a look at what hedge funds think about Church & Dwight Co., Inc. (NYSE:CHD) in this article. Church & Dwight Co., Inc. (NYSE:CHD) was in 30 hedge funds’ portfolios at the end of December. CHD shareholders have witnessed an increase in hedge fund sentiment lately. 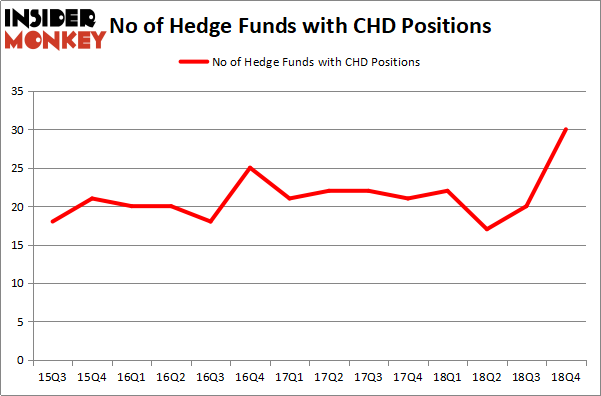 There were 20 hedge funds in our database with CHD positions at the end of the previous quarter. Current hedge fund sentiment towards CHD is at its all time high. This is usually a very bullish signal. For example hedge fund sentiment in Xilinx Inc. (XLNX) was also at its all time high at the beginning of this year and the stock returned more than 46% in 2.5 months. We observed a similar performance from Progressive Corporation (PGR) which returned 27% and outperformed the SPY by nearly 14 percentage points in 2.5 months. Hedge fund sentiment towards IQVIA Holdings Inc. (IQV), Brookfield Asset Management Inc. (BAM), Atlassian Corporation Plc (TEAM), RCL, MTB and CRH hit all time highs at the end of December, and all of these stocks returned more than 20% in the first 2.5 months of this year. In the financial world there are a multitude of gauges stock traders have at their disposal to analyze publicly traded companies. A couple of the most useful gauges are hedge fund and insider trading activity. We have shown that, historically, those who follow the top picks of the top money managers can outperform the broader indices by a significant margin (see the details here). We’re going to analyze the new hedge fund action surrounding Church & Dwight Co., Inc. (NYSE:CHD). What does the smart money think about Church & Dwight Co., Inc. (NYSE:CHD)? 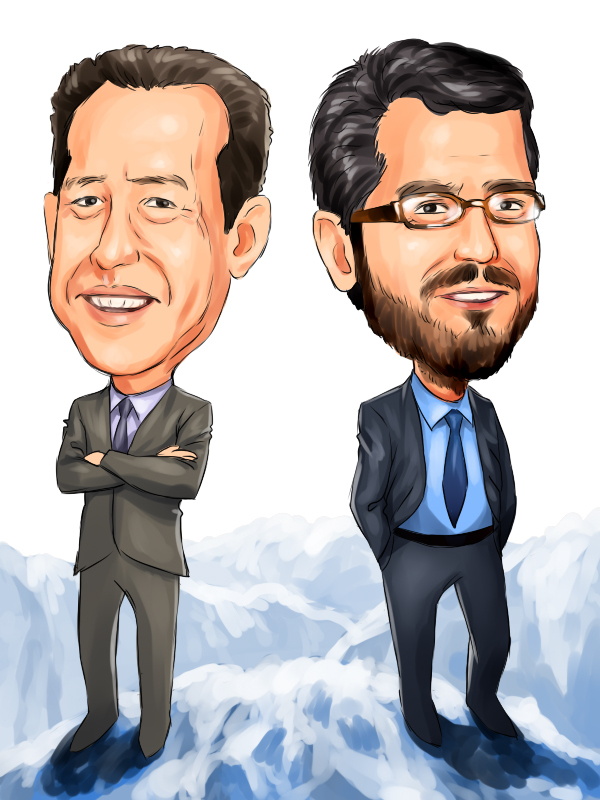 At Q4’s end, a total of 30 of the hedge funds tracked by Insider Monkey held long positions in this stock, a change of 50% from the second quarter of 2018. Below, you can check out the change in hedge fund sentiment towards CHD over the last 14 quarters. With hedge funds’ capital changing hands, there exists an “upper tier” of notable hedge fund managers who were increasing their stakes meaningfully (or already accumulated large positions). The largest stake in Church & Dwight Co., Inc. (NYSE:CHD) was held by AQR Capital Management, which reported holding $32.4 million worth of stock at the end of September. It was followed by Arrowstreet Capital with a $26.5 million position. Other investors bullish on the company included Adage Capital Management, Winton Capital Management, and GAMCO Investors. With a general bullishness amongst the heavyweights, some big names have jumped into Church & Dwight Co., Inc. (NYSE:CHD) headfirst. Two Sigma Advisors, managed by John Overdeck and David Siegel, initiated the most valuable position in Church & Dwight Co., Inc. (NYSE:CHD). Two Sigma Advisors had $6.1 million invested in the company at the end of the quarter. Ken Griffin’s Citadel Investment Group also initiated a $5.8 million position during the quarter. The other funds with brand new CHD positions are Paul Marshall and Ian Wace’s Marshall Wace LLP, Anna Nikolayevsky’s Axel Capital Management, and Andrew Feldstein and Stephen Siderow’s Blue Mountain Capital. Let’s also examine hedge fund activity in other stocks – not necessarily in the same industry as Church & Dwight Co., Inc. (NYSE:CHD) but similarly valued. We will take a look at Entergy Corporation (NYSE:ETR), Harris Corporation (NYSE:HRS), Grifols SA (NASDAQ:GRFS), and Lululemon Athletica inc. (NASDAQ:LULU). This group of stocks’ market values resemble CHD’s market value. As you can see these stocks had an average of 26 hedge funds with bullish positions and the average amount invested in these stocks was $825 million. That figure was $223 million in CHD’s case. Lululemon Athletica inc. (NASDAQ:LULU) is the most popular stock in this table. On the other hand Grifols SA (NASDAQ:GRFS) is the least popular one with only 14 bullish hedge fund positions. Church & Dwight Co., Inc. (NYSE:CHD) is not the most popular stock in this group but hedge fund interest is still above average. This is a slightly positive signal but we’d rather spend our time researching stocks that hedge funds are piling on. Our calculations showed that top 15 most popular stocks among hedge funds returned 19.7% through March 15th and outperformed the S&P 500 ETF (SPY) by 6.6 percentage points. Unfortunately CHD wasn’t in this group. Hedge funds that bet on CHD were disappointed as the stock returned 2.9% and underperformed the market. If you are interested in investing in large cap stocks, you should check out the top 15 hedge fund stocks as 13 of these outperformed the market. Hedge Funds Have Never Been This Bullish On Weyerhaeuser Co. (WY) Hedge Funds Have Never Been This Bullish On International Paper Company (IP... Here is What Hedge Funds Think About CBS Corporation Do Hedge Funds Love CenturyLink, Inc. (NYSE:CTL)? Here is What Hedge Funds Think About Check Point Software Technologies Do Hedge Funds Love Smith & Nephew plc (SNN)?